As a growing number of retirees come to grips with their dwindling cash flows to leave as inheritance, many are turning to other ways to preserve their memory for future generations. Gone are the days that an inheritance means a big windfall for the remaining family members. The shoddy economy has taken a big chunk from many retirement funds. At the same time, those retirees who did fare well through this recession are choosing to spend it now instead of saving it for their loved ones. Retirees are now using other ways – including life histories, ethical wills and personalized video recordings – to leave a legacy. Some financial planners are encouraging this outpouring of values and wisdom, whether it accompanies a financial payout or not. “There’s an element regarding money, but it is really more about affirming your life as a legacy,” explained one certified financial planner. Bound memoirs: Ranging from a few pages to hundreds, many have turned to personal-history writers to convey a lifetime in the pages of a book. Through a series of one-on-one or phone interviews and some investigation, a personal historian will turn events, recollections and thoughts into a keepsake book. Typically costing up to $5,000, these books are meant to serve as a remembrance long after cash is gone. At the same time, retirees who can’t afford to pay a personal historian have hired writers or have even done the work themselves. A growing number of senior centers are hosting personal-history classes, and the advent of self-publishing has made the task simpler. Ethical will: Dating back to Biblical times, ethical wills are a way to pass on emotional and spiritual information to loved ones. Through this growing trend, retirees write a document that reflects more than just the disbursement of cash and possessions. They share life lesson, joys and hopes for future generations. Similar to life books, the cost to put together an ethical is wide-ranging. A growing number of companies are emerging to help retirees put together ethical wills, but making one could be as simple as putting pen to paper. Video diary: One of the most valued memories any person can leave for loved ones is a voice. As the years pass, many family members forget how a loved one sounded and yearn to hear the voice again. Through a video diary, retirees are able to visually and audibly convey feelings, gestures and vocal reminders. Again, costs vary, but the task can be accomplished easily without expensive equipment. Even with this trend toward dwindling inheritance cash, some members of younger generations are still holding out hope. A recent survey of Generation Z members, kids aged 13 to 22, showed that many think they’ll still receive a large payout to fund their futures. 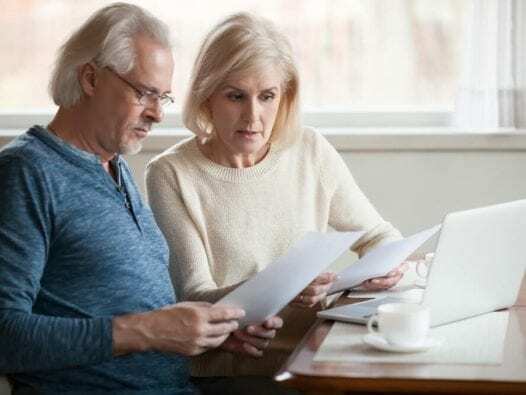 Head Solutions Group, a market research company, found that nearly 40 percent of these individuals think they will be getting an inheritance and therefore don’t need to save for retirement. At the same time, only 16 percent of parents plant to leave them any money. Carpenter, D. (2012, October 4). Retirees turn more attention to personal legacies. Associated Press.